Home » baby » hampers » offline contest » photo » purchase » spend » The Store » trophy » vouchers » The Store Cute Baby 2017 Photogenic Contest: Up to RM50,000 worth of prizes to be won! 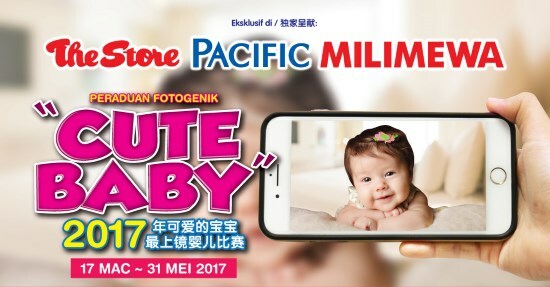 The Store Cute Baby 2017 Photogenic Contest: Up to RM50,000 worth of prizes to be won! Kindly enclosed the application with 5R photographs (had to be taken between 1/2/2017 and 31/5/2017, birth certificate and original receipt together with the entry form. Submit your application to the same purchasing outlet before 31/5/2017. Visit The Store Cute Baby 2017 Photogenic Contest page for more details.